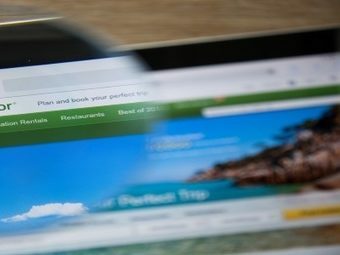 If you run a travel business, you understand all too well just how crucial it is that your business maintains a glowing reputation. Even the smallest blot on your reputation can instantly lead to less business, and damaged reputations take time and effort to repair. Thanks to advancements in technology, the reputation of travel businesses are more fragile than ever. This is because of the rise of social media platforms and online review resources such as Yelp and Google. It has become easier than ever for an unhappy customer to hurt your reputation by leaving a scathing review on the internet that cannot be erased. Luckily, there are some simple tips that can help you get the reputation of your hospitality business back on track. Online reputation repair requires a simple reputation management strategy that can undo much of the damage caused by negative reviews. If you’re wondering how to repair your reputation, continue reading. When you come across a negative review of your business on the internet, it may be tempting to avoid responding to the unhappy customer. However, this only lets future customers know that you don’t take responsibility for your business and that you don’t care about the needs of your customers. It also leaves people reading reviews of your business to assume that the negative reviewer is correct in their critique. It’s important to be upfront and respond quickly. Let them know that their voice has been heard. This lets future customers see that you hold yourself accountable for the actions of your business. When someone on the internet criticizes the business that is your livelihood, it’s easy to take these comments to heart and act defensively. However, any customer leaving a negative review wants to feel like their voice is being heard. Lashing out in defensiveness only makes you look immature and unwilling to meet the needs of your customers. It’s important to be firm yet polite. Most of all, it’s crucial that you show your customers that you value each and every opinion whether positive or negative. By setting up Google Alerts, you can be notified every time a review is left on a website or social media platform. This gives you the time to diffuse the situation quickly and respond to reviews in a timely manner. Google alerts is easy to set up and it’s free. Simply insert the keywords that you wish to have monitored and Google will notify you each time that new content is created using these keywords. By hiring a search engine marketing company, you can have your glowing reputation back in no time for a small fee. Google reputation repair has become a huge industry over the last few years and these companies will do all the hard work for you by boosting your reputation with positive reviews of your business. By creating lots of content that reflects positively on your business, those who are searching for your business on the internet will see this positive content first when they look up your name in a search engine. SEO, or search engine optimization, is the science of using content to rank higher in search engines. Good SEO practices include maintaining a content-heavy blog with lots of links back to the website of your business. By creating lots of content that links back to your business, this content will be the first thing that appears when prospective customers search for your business on the internet. Ideally, negative reviews will be tucked away several pages later. Social media engagement can dramatically improve the reputation of a business. By constantly creating quality content across various platforms such as Facebook, Instagram and Twitter, you can build a loyal following on the internet that will be less likely to side with negative reviewers. It’s important to engage with your followers regularly. “Like” their comments regularly and respond to comments as often as possible. Anyone can make a Yelp account for your business, leaving you with little to no control of the information posted there. When you claim your business on Yelp, you not only have control of the positive information such as your business hours, a description of services rendered and a link to your actual website, but you also position yourself to be aware of any negative comments, and can reply to and work towards resolution directly. Having an updated and well managed Yelp page also makes your business look more professional to any potential customers. We all know them when we see them, the overly enthusiastic, high praise comments that are way too good to be true. Fake reviews are a bad idea from a moral standpoint, but also for two practical reasons. The first is that consumers report that they tend to scan over reviews that are either “really good” or “really bad” and focus on those that fall in the middle. The second is that algorithms employed by both Yelp and Google will remove fake or purchased reviews, making it a waste of money. Although it seems like flooding your reviews with only positive praise would make your company look better and diffuse any negative reviews you have acquired, it tends to work the opposite as companies that have obviously unrealistic positive reviews are viewed as less trustworthy. While it is unfortunate, those who leave reviews are much more likely to do so because they had a negative experience rather than an insanely positive one. It’s important to know that just because there is negative information about your business on the internet, your reputation isn’t damaged beyond repair. Online reputation repair does require some time and effort. However, by following these tips, you can overcome the damage caused by negative reviews and get your business back on track in no time.